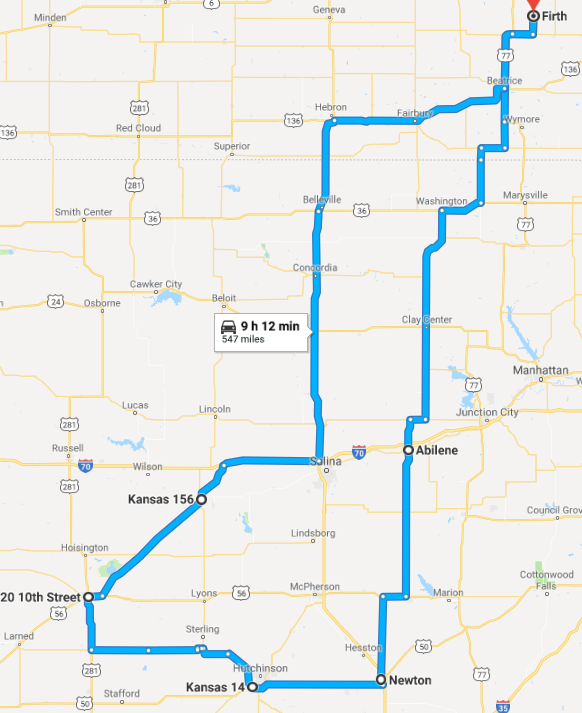 We have a route truck that runs from Cortland, Nebraska to Western Kansas once a month. We take a trailer load of customer orders and have several common stops along the way we can meet you at to pickup your tire order. Give us a call at 888-513-8473 to place an order for Free Route Delivery. 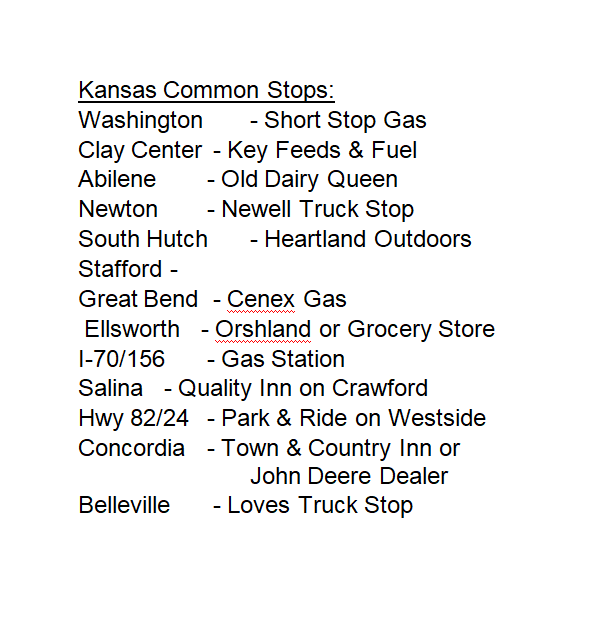 Join our Monthly Texting Notification List for Western Kansas Route Delivery.